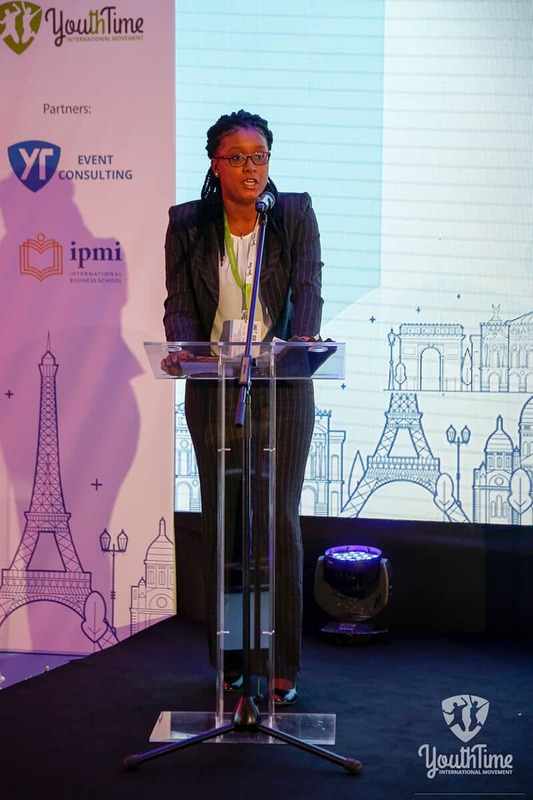 In December Paris, France hosted the Youth Time International Movements fourth annual Youth Global Forum. The diversity of the world was on show as distinguished guests, experts and participants from over forty nations gathered to discuss Impact Investment & the Role of Entrepreneurs. This three day forum saw attendants participate in various workshops, masterclasses and key-note speeches from the some of the world’s foremost experts in the field. The event culminated with fifteen project presenters getting the chance to showcase their projects with one ultimately winning the coveted Youth Time Idea grant to turn their project into a reality! As the European Winter broke, participants arrived from across the world into the French Capital to attend this year’s Youth Global Forum. 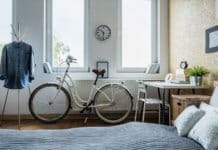 This year the Dolce Chantilly fittingly played host to this year’s event as the essence of France could not have better been captured than at this location in the Paris country-side. After settling into their new home for the next few days attendees for this year’s forum were treated to the best food, wine and music that Paris had to offer at that evenings welcome reception. The sounds of Jazz & soul rang out as guests arrived into the banquet hall. This set a relaxed and inviting atmosphere that really helped to ‘break the ice’ amongst guests as they exchanged greetings and pleasantries. 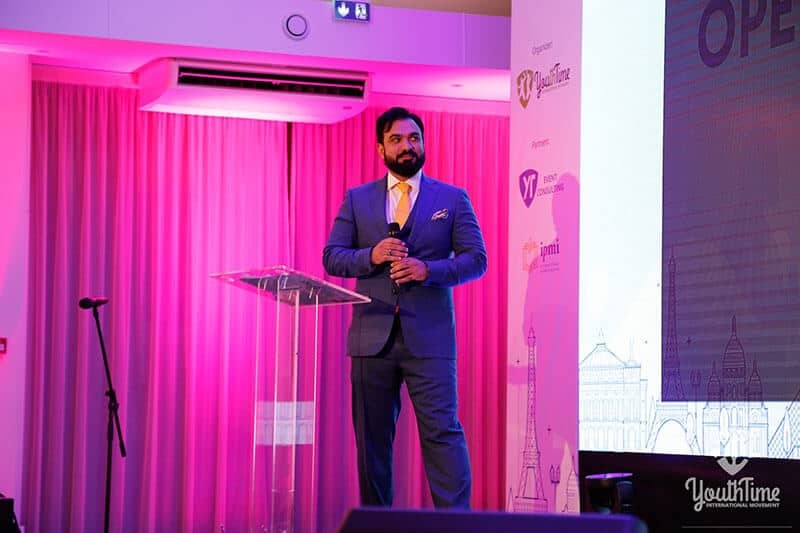 It was here that guests were introduced to their Master of Ceremonies for the 2018 Youth Global Forum & 2018 Youth Time International Ambassador, Mr Mohammed Shaheed Khan. He briefly told of his wonderful memories from pervious forums and previewed what was to come in the following days. Words were kept brief as a stunning feast awaited guests following Mohammad’s welcoming remarks. A truly great way to kick off the proceedings for the event. The following morning the official Opening Ceremony took place signifying the start to formal proceedings for this year’s Youth Global Forum. Ms. Julia Kinash, Founder and President of Youth Time International, opened this year’s forum reflecting on the success of previous events and also the success of previous winners of the ‘Youth Time Idea Grant’. 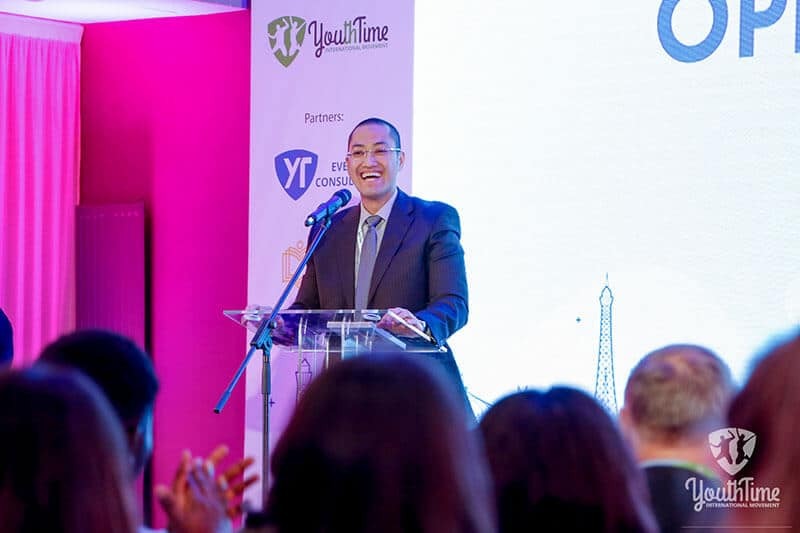 Her remarks were quickly followed by Mr Jimmy Ganai, CEO of IPMI International School of Business and Youth Time International partner, who had kind words for the work of Youth Time International. The Opening Ceremony was finally concluded by Naveen Chaudhary, Youth Time International Ambassador, whose words served to inspire the participants who had travelled from near and far to take part in this year’s Youth Global Forum. With the formalities completed it was into the first of two Keynote speeches to be delivered on the first day of the programme. 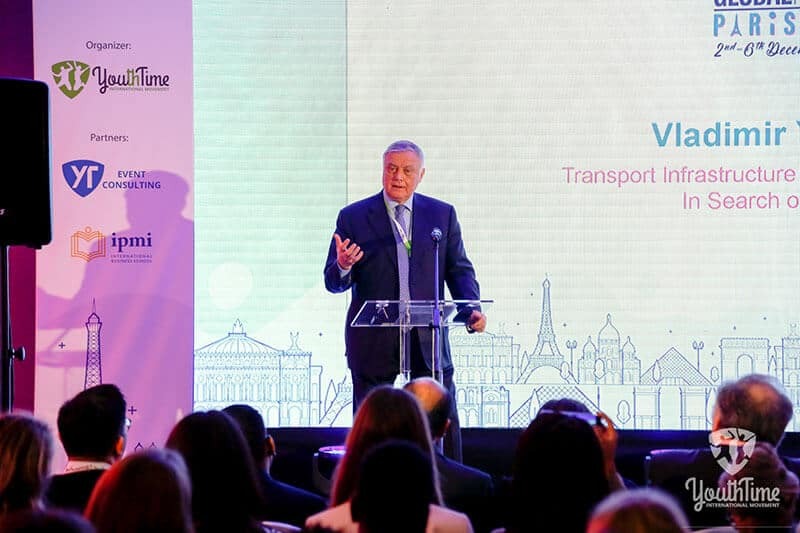 The first Keynote was delivered by Dr. Vladimir Yakunin, Former President of Russian Railways & Chairman of the Supervisory Board of the Dialogue of Civilizations Research Institute. Following on from Dr. Yakunin was Robert Rubinstein, Founder of TBLI (Triple Bottom Line Investing) Group, who spoke of ‘Attempting to Demystify Impact Investment’. On their return from lunch participants were treated to their choice of a number of fantastic workshops covering various aspects of Impact Investment. Dr Rieki Crins, Founder of the Learning Exchange Foundation and Author of ‘Blacklisted in Bhutan, spoke on ‘Impact Investing in Education: Case Study of a Social Enterprise in an Emerging Market’. Ardo Ryan Dwitano, Finance expert and faculty member of IPMI International School of Business, led a workshop discussing ‘The latest trends in Impact Investment’. The final workshop was led by Mr. Mohammed Shaheed Khan, Senior Islamic Banker and Harvard alumni, who educated participants on ‘New Financial Instruments in Impact Investment’. After a short break participants were then treated to a Masterclass from Ekkehard Ernst, Chief Macroeconomist for the International Labour Organization, which was entitled ‘Impact Investing in Combatting Unemployment’. The day’s program was brought to an end by Dr. Waleed Sadek, Co-chair of the United Nations Sustainable Development Commission Post 2015, who spoke of ‘The Role of Impact Investing in SDG’s. The next morning brought one of the world’s foremost experts on Profitable Impact Investing, Anne-Louise Thon Schur, to the stage who presented on the topic of ‘Social Investment: Gaps and Opportunities in Emerging Markets ‘. After a small break it was time for this year’s Project Presenters to put forth their projects in the hope to win ‘The Youth Time Idea Grant’. The projects would be evaluated by a Jury Panel consisting of Ms. Julia Kinash, President and Co-Founder of Youth Time International Movement; Dr. Vladimir Yakunin, Former President of Russian Railways & Chairman of the Supervisory Board of the Dialogue of Civilizations Research Institute; Robert Rubenstein, Founder of TBLI (Triple Bottom Line Investing) Group; Dr. Rieki Crins, Founder of the Learning Exchange Foundation and Author of ‘Blacklisted in Bhutan; Dr. Waleed Sadek, Co-chair of the United Nations Sustainable Development Commission Post 2015 & finally Mr. Jimmy Ganai, CEO of IPMI International School of Business. Following each round of presentations, a Q&A session commenced whereby the audience and members of the jury panel were invited to delve into further details for each project. The presentations were followed by a voting process whereby each participant was asked to vote for an overall winner and state the reasons behind their choice. The results of the voting would be announced during the closing and awarding ceremony the following day. The day concluded with two enlightening workshops led by both Rakesh Bisawas, Chairman of IYSERT ENERGY RESEARCH PVT LTD as well as the founder of International Youth Society of Eco friendly & Renewable Technology & Khalid Garba Mohammed, Executive Member of the International Pharmaceutical Foundation. 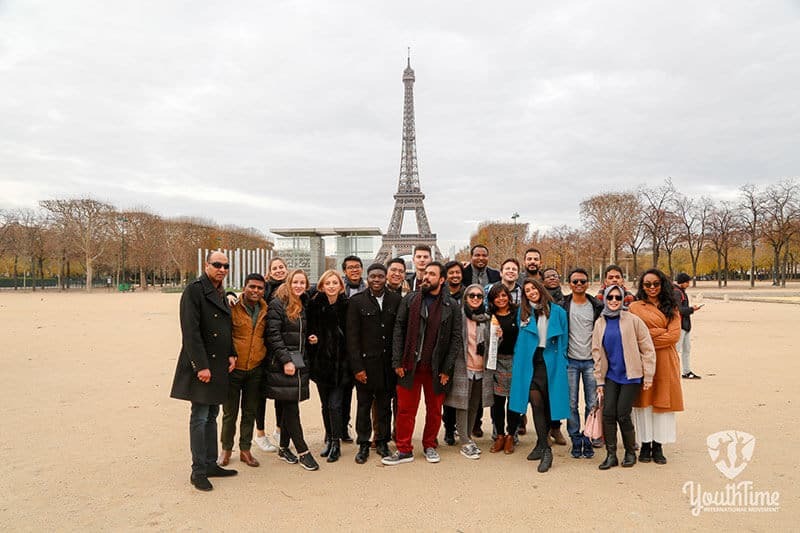 On the final day of Youth Global Forum guests were treated to day of cultural excursions; taking in all of the sights and sounds that Paris had to offer. The Louvre, The Eiffel Tower and Arc de Triomphe were just some of the many highlights of the day’s adventures. Night time broke and guests were carried away to one of Paris’s hidden gems. The simply stunning Royaumont Abbey provided the backdrop to the Closing Ceremony for this year’s Youth Global Forum. 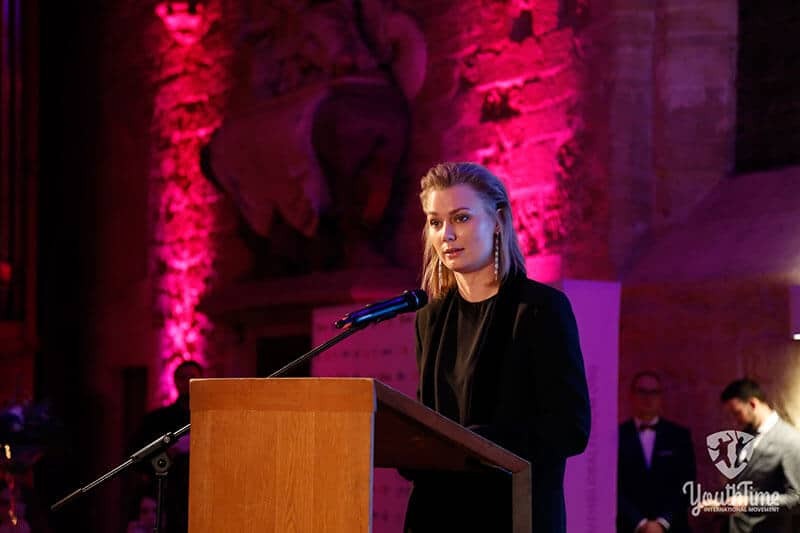 Closing remarks were made by many of the events distinguished guests, led by Youth Time International Co-Founder and President Ms. Julia Kinash. The previous night the jury panel spent hours dissecting each of the projects presented earlier that day to determine who would be the successful recipients of the awards and prizes on offer. First to receive his award was Ghanaian born Samuel Afadu who presented his project ‘Light My World’. The Light My World project seeks to provide a clean, safe and affordable source of light to children and students living in Ghana with no access to electricity. Samuel would now receive an Internship to IYSERT ENERGY RESEARCH PVT LTD with all flights and accommodation included. Next to receive her award was Peru-native Nicole Morveli, whose project WEEDS won her a Scholarship to the IPMI International School of Business. Jose Molinelli Gonzalez’s project, The Urban Hanging Gardens Initiative (UHGI), was so unique that the jury panel saw fit to create a brand new award for his Initiative. The award saw Jose receive the funding necessary to turn his dream into a reality that is set to benefit many in his home country of Puerto Rico. The winner of this years coveted ‘Youth Time Idea Grant’ was Shinelle Bayrd, whose project ‘The Wellness Centre’ brought tears to the eyes of many in the room. The Wellness Centre will seek to raise awareness and provide support for persons dealing with mental health illnesses in her home nation of Guyana. 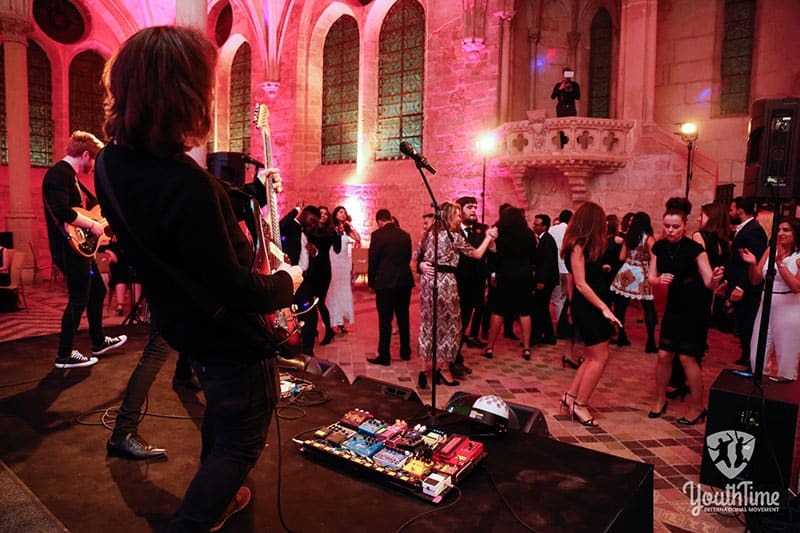 As the guests enjoyed their final moments together and danced the night away to the sounds of live band ‘The Dynamos’ you couldn’t help but reflect on the success of this year’s event. 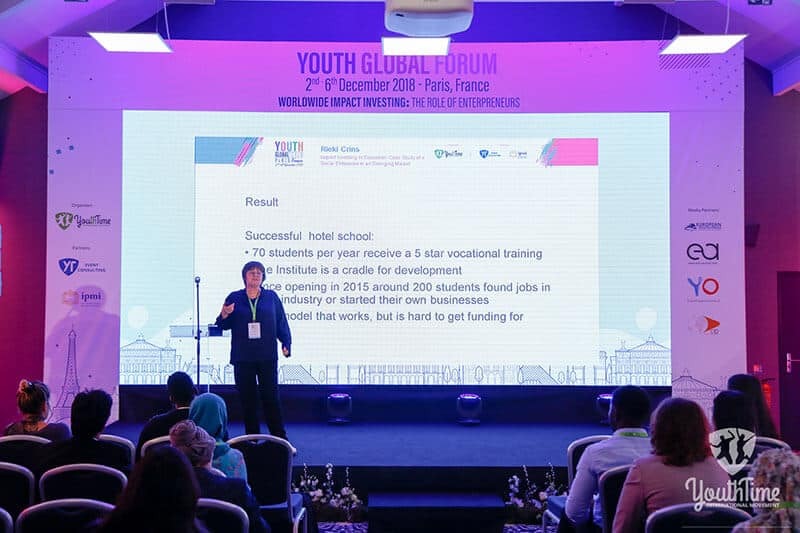 The 2018 Youth Global Forum saw the most diverse group of experts, honorary guests & participants brought together with over forty nations represented. 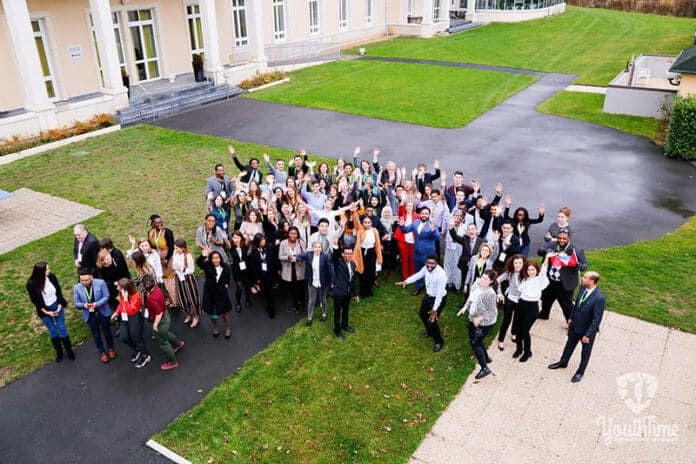 In 2019 The Youth Global Forum will celebrate its 5 year anniversary and if it can achieve the success that it did in Paris then it will continue to achieve success in aiding in the development and promotion of youth and youth initiatives next year and for many years to come.